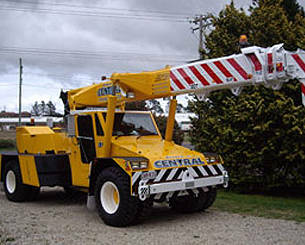 Turner & Central Crane Services is a family owned crane company that has built upon over 30 years of successful trading. 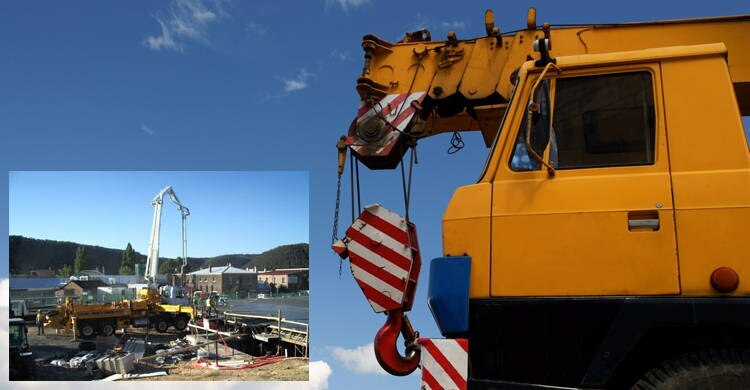 With a large and varied fleet, Turner & Central Cranes are able to undertake a range of projects specialising in major shut downs, maintenance and construction works. We have extensive experience and a large range of modern equipment to offer you the back up and peace of mind knowing that should an emergency arise, or just a routine requirement, we have the personnel and equipment to supply a critical support network. As a family owned and run business,who employ approximately 30 people, we regard ourselves as a local business which contributes to the communities of the Central West, through sponsorship of local sporting teams, donations to charities and other events occurring in our local region. Our main aim is to employ families from our region and afar to keep the infrastructure in small local business viable. At present we are maintaining a steady growth within the community at a generous level. The success of the Company is shown through repeat business. Throughout the years the company has strived to be flexible in meeting customers’ demands and maintain a long term focus. Due to the strong commitment to reinvest in the business, the Turner & Central Cranes fleet has steadily grown while being regularly updated to include the most modern cranes. The latest additions to our fleet are a 250 Tonne Grove and a new Maeda Mini Crane. 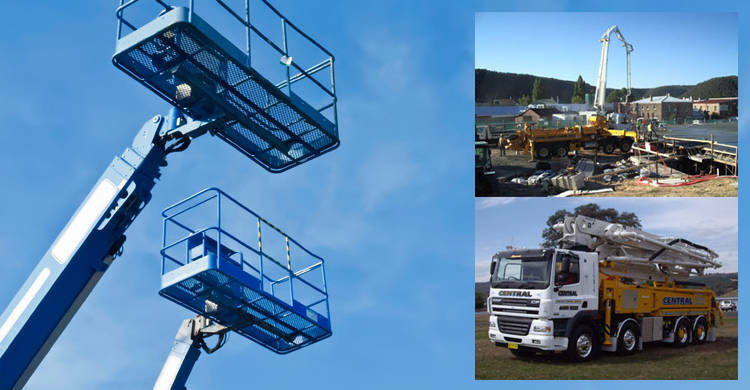 In addition to Crane Hire, we also offer Heavy Haulage, Access Gear Hire and Concrete Pumping services. 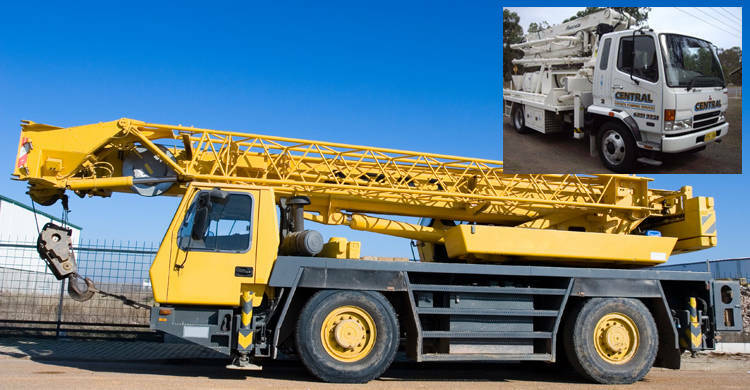 We have a large range of cranes, trucks, boom& scissor lifts and concrete boom pumps. All of our equipment is maintained to the highest possible standard providing security for the valuable equipment we are accustomed to handle. We can supply certificates of testing on all of our equipment should they be required. Safety is of the highest priority to us and our people, boasting our unblemished safety record. Having started in Lithgow, the company expanded to incorporate yards in Bathurst and Orange. Operating from several depots means Turner& Central Cranes is now more capable than ever of undertaking large scale projects across the Central West. The company remains a family operation, which provides experience, stability, flexibility and a long term focus. 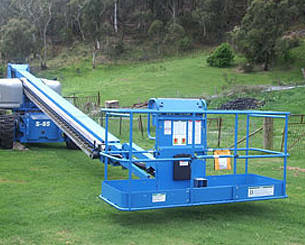 We are also able to obtain cranes up to 450T if required. 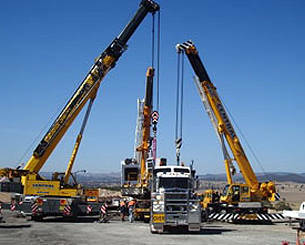 We travel as near and as far as required and if we do not go to that area we can organize other cranes for the job. All calls after normal working hours will be redirected to the most appropriate contact. 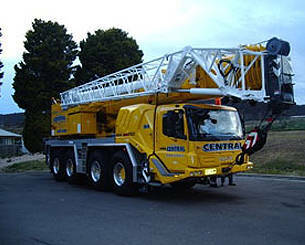 Our 38 metre and 21 metre concrete pumps are kept really busy and are in demand, and constantly on the go throughout the Central West and surrounding areas. We have done jobs as far west as West Wyalong and as far east as Katoomba. In the summer you need to book early as pumps are in their peak season.